The quality of life and accomplishment of goals can only be achieved if our bodies or health are in the right condition. As people age, they tend to experience some discomfort or complication. One common culprit is joint pain. This, however, does not mean that joint pain is exclusive with old age. There are causes of joint pain that result to younger or middle-aged persons to suffer from joint pain. Before we head on to the nitty-gritty of joint pain, it is important to understand where specifically a joint is located in the body. The joint is the location where the bones in the body connect that provides support and allows body movement. The importance of the joints in the human body emphasizes the essence of understanding what joint pain implies and tells us about our health condition. Any joint discomfort or pain should be properly addressed to prevent permanent damage of the same so not to aggravate the pain and lead to more serious cases. 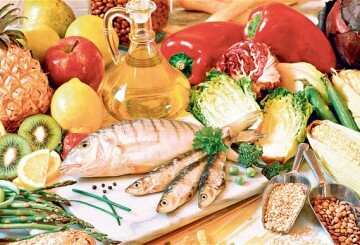 There are several causes, which can be attributed to joint pain, of which will be discussed in the succeeding section. Whatever the cause may be, when you get any of the symptoms or signs of joint pain, it is advised to take steps to ease the pain and pay your doctor a visit. Some of the symptoms associated with joint pain are redness or swelling of the joint. You may also experience weakness, stiffness, or loss of range of motion of the joints. As early as now, it is important to remember that joint pain should not be underestimated and must be addressed properly. Knowing what causes joint pain is just as important in learning what treats the same. The joints are very important considering that it supports the bone movement. It includes the elbow, shoulders, hips, and knees. While the succeeding sections will discuss these joints individually, it furthers one’s understanding if, this early, we learn about the causes of joint pain in general. The significance of learning joint pain causes matters in determining the proper and permanent way to cure joint pain. One of the most common causes of joint pain is arthritis. Joint pain by reason of arthritis is usually associated with old age. Arthritis can be categorized into two: osteoarthritis and rheumatoid arthritis. The joint pain due to osteoarthritis arises from the cartilage that supports and absorbs shocks for the joints. This is common for people who are 40 years and above. Rheumatoid arthritis, on the other hand, affects more women than men. The pain from rheumatoid arthritis may be by reason of inflammation or buildup of fluids in the joints. Apart from arthritis, an injury to your joints may be another reason for the pain. Generally, joint pain may either be only on one joint or many or multiple joints. A recent injury in your joint may be causing you pain because of the inflamed tissue, which lines the joints and tendons. A fracture as a result of a broken leg, arm, wrist, ankle, or hip may also be a cause of joint pain. Other causes of joint pain include gout, infection to the bone, lupus, cancer, overused joint, fibromyalgia, and some infectious diseases like influenza and hepatitis. The body may experience joint pain in different parts of the body where there is joint. The pain may be concentrated in a single joint or simultaneously in many joints. Here are different kinds of joint pain according to which part of the body is affected. If you love your active lifestyle and freedom to move wherever you like, you have to thank your hip joint for it. The hip is a ball and socket joint that helps move our legs to perform activities like walking or climbing the stairs. It withstands repeated motion and has a wide range of movement. The hip joint is basically composed of the ball of the joint called the femur and the socket referred to as ace beta lum. This ball and socket joint are important for fluid movement in the body. The hip joint enjoys durability, nonetheless, there may be pain from the same as its cartilage may wear down and become damaged over time. Fracture of the hip bone , as well as overuse of the hip joints, may likewise yield pain in the hip joint. The inflamed or strained tissues like tendons may be another factor for the pain you feel. The pain from a damaged hip joint is not exclusive to the hip area as it may be felt in the groin and radiates to the front of the leg and even the knees. In cases where the pain is caused by strained muscle or tendon and inflammation, the person affected may seek immediate relief from over-the-counter medications. Self-help treatments like the application of ice on the affected area may bring relief to the pain. Low-impact exercises like stretching and resistance training are also considered as helpful ways to alleviate the pain and improve the mobility of the joints especially if the origin of pain is arthritis. It should be noted, however, that in the situation where the hip joint pain arises after a fall or injury, urgent medical care is required. In this case, seeking doctor’s advice is more of a requirement than a recommendation. The same goes in cases where the pain gets worse, you feel sick, or you are experiencing difficulty in walking. Most of our daily activities are performed using our feet. That is the reason why a discomfort on any part of the feet poses a big threat to one’s productivity. From the preceding sections, we have learned what causes joint pain in the body. The joint in the toes is not safe from the discomfort or pain. Toe joint pain may be caused by many different things, of which include arthritis and injury. Among the causes of joint pain, the more common is arthritis. Nonetheless, many people are still surprised to find out about joint pain in the toes. Arthritis in the toes is brought out by the inflammation of the toe joint. While the usual sensation is a pain in the big toe joint, other toes may be likewise affected for some reasons. The most common type of arthritis is the Osteoarthritis, which affects any joint in the body. Osteoarthritis in the toe joint happens when the cartilage wears out or when the bones rub against the other. A person suffering from osteoarthritis will initially feel mild pain until it worsens as time passes by. This type of arthritis often affects the big toe. The pain from toe arthritis ranges from deep aches to sharp and stabbing pains. As the cartilage wears down, you will likewise feel the stiffness of the joint making it more difficult for you to move. Inflammation of toes involves swelling and swollen toes because of an inflamed joint can be visible. As it has been mentioned above, arthritis usually attacks the big toe joint. Apart from the visual changes in your toes because of swelling, the overgrowth of the big toe bone makes it difficult for the toes to bend. Big toe joint pain may even cause stiffness of the toes called hallux rigid or the arthritis of the joint of the big toe. In hallux rigid, it varies which part of the joints is affected. While it has no definite cause, it is attributed to stress in walking or increased weight. With the number of activities that you do use your hands, any discomfort or pain that you feel in your hands can be crippling. Among them is the thumb joint pain, which may be a product of injury or the more common arthritis. Whether it is a result of an injury or caused by arthritis, a pain from the thumb joint should not be ignored. This is especially so when your productivity largely depends on or involves your hands. Remember that the thumb works 40 percent of the total hand function. The most frequent occurrence that concerns the thumb joint is the thumb arthritis. According to the University of Washington Medicine, thumb arthritis is most common in the thumb carpometacarpal joint that rests between the wrist bone and thumb metacarpal. This type of arthritis is otherwise referred to as the basal joint arthritis. The basal joint plays a vital role allowing the thumb to move around to perform small motor tasks. Basal joint is exposed to an enormous amount of force of stress because of our daily or repeated activities. This is one of the reasons why a person has a higher risk of experiencing pain in the thumb joint as he or she ages because the cartilage inside the joint tends to wear down over time. While the specific cause of thumb arthritis is still under study, health experts believe that it is caused by several factors. These factors include prior fracture or injury, which yielded to inflammation that has developed into osteoarthritis. Another is when the cartilage that covers the sides of the bones have deteriorated and the bones rub against each other that result to a damaged joint. So how do you know that it is a thumb joint pain? Initially, you will feel some pain and swell at the base of the thumb that may even radiate around the wrist. The thumb may also come out a little larger than normal because of swelling. Incidental to the pain is the decrease in your range of motion as you may find it difficult or impossible to been or move the thumb. Reduced strength is another symptom of the basal joint arthritis so opening containers or twisting knobs become a challenge. Treatments for the basal joint pain may either be nonsurgical or surgical. Over-the-counter medication, exercise, and use of splints fall under the category of nonsurgical treatments. Other self-care methods like an application of heat and ice, cream, and modification of activities will help relieve the pain. In more serious cases, surgical treatments are needed. Apart from the thumb, the hand in general and the rest of the fingers may also be affected by joint pain. Considering the many things we do use our hands, finger joint pain and hand joint pain make our day by day or even occasional activities a challenge. This is the reason why understanding hand and joint finger pain and knowing the ways to prevent or treat the same are important. 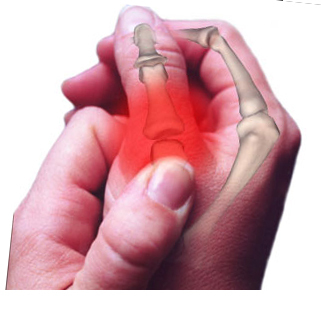 The most common view concerning the pain in your hand or finger joints is arthritis, particularly rheumatoid arthritis. Arthritis in the hands is more common to women than men and usually develops with aging. There are different forms of arthritis in the hands, each of which affects the latter in a different way from the others. More often, the pain in the joint of the hands may be a symptom, in itself, of rheumatoid arthritis. While experts have not yet found specific causes of rheumatoid arthritis of the hands, it is believed that it is a result of a triggering event like an infection that gives rise to inflammation. The doctor identifies rheumatoid arthritis based on a clinic examination or medical history. Just like other types of joint pain, joint pain in the fingers and joint pain in the hands may show swelling or redness because of the inflammation. You hands and finger also tends to be stiff and the joints are warm and tender to touch. In some cases, the fingers become numb and there is a tingling sensation in the hands. Moreover, the range of motion becomes limited so tasks like turning knobs or gripping and twisting become difficult or impossible. To treat or relieve the hand and finger joint pain, your doctor will have to prescribe medications. If you have recently been through a lot, you will be advised to rest your hands. There are even exercises that you can do to keep the good range of motion of the affected joints. Staying active may come as a surprising advice from the doctor, but studies support the claim that the less active one person is, there is the greater chance of being disabled. What we see as a single unit of the body, the shoulder, is actually a group of joints, muscles, ligaments, and tendons that let you move your arms. The shoulder, as a ball and socket joint, is considered as the most mobile joint in the body and allows several movements that a person could make. The mobility of the shoulder comes with complication specifically on the instability and impingement of bones and tissues in the shoulder, which results in pain. 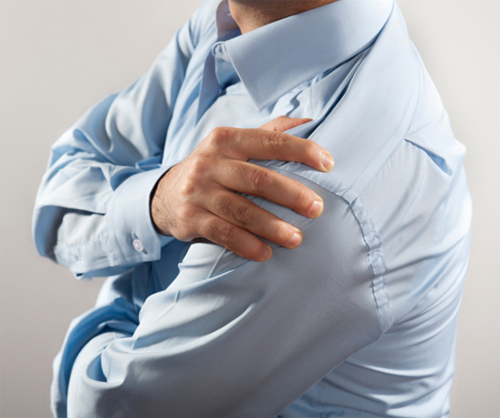 The shoulder pain may be attributed to various reasons and one of them is the shoulder joint pain. One condition that may have been causing joint pain in the shoulders is osteoarthritis, which is considered as the more common type of arthritis that affects the shoulder joints. This is primary because of the wear and tear of the joints that has slowly developed so in this situation, you are more likely to experience worsening pain through time. Speaking of shoulders, it is where one of the joints in the body is located. The acromioclavicular (AC) joint connects the acromion, that part which joins the shoulder and clavicle, and the clavicle. Unlike the joints in the hips and knees, the AC joint does entail too much movement. Its job is to be flexible enough so the shoulder can move freely. There are two broad causes of the acromioclavicular joint pain, which are osteoarthritis and AC joint disruption. The AC joint osteoarthritis is the more common reason for the pain considering that repetitive motion of the shoulder entails wearing out of the protective cartilage. Constant stress on the joint is what brings AC joint pain, which is specifically dominant on the front of the shoulder joint. It may also show some bump or it may produce clicking or popping sounds when moved. In shoulder arthritis, what happens is that the cartilage that rests on the surface of the ball and socket of the joint deteriorates. As a result, the bones tend to rub against each other, thereby causing pain and stiffness. The pain may also be caused by inflammation, injury, or infection. The same can be diagnosed by looking into one’s medical history or undergoing a series of examination. Immediate medical attention is necessary if the person affected got it from an injury or infection. Generally, the mode of treatment should be under close supervision of a physician. Nonetheless, there are self-care methods you can do yourself, provided it is approved by the doctor, so as to avoid complication. The human body consists of bones, muscles, tendons, ligaments, joints, and much more. Each of the aforementioned plays a vital role to ensure the proper functioning of the body. One of the key features of the body is the spine, which sends and receives the message to and from the brain. The spinal column is responsible for organ function and control of movement. The spine is composed of spinal bones, referred to as vertebrae, stacked on top of the other creating the spinal column for upright support. In the spine rest what are called as facet joints. Facet joints are located at the back of the spinal column in between each pair of vertebrae. The significance of facet joints leans on stability. The facet joints provide stability of the neck and lower back. This is to prevent over-twisting or any excessive motion while allowing the same to be flexible. They are covered by articular cartilage so the bone ends can move smoothly and friction- or pressure-free. The cartilage, however, tends to become thin or disappear, as the case may be, through time as the joint eventually wear out because of constant or repeated motion. The contact between the bone ends produces the discomfort or pain. 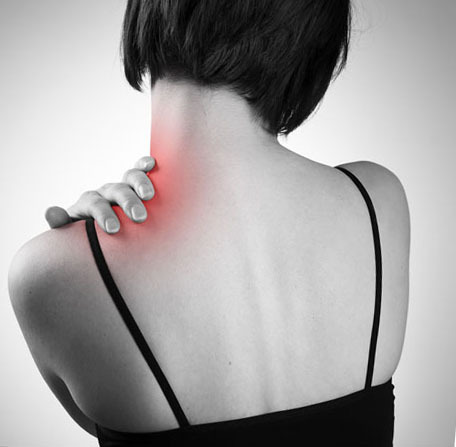 Facet joint pain may be caused by arthritis, an injury, or wear and tear. It is characterized by an ache or pain on one side or both sides of your lower back, which in the rarest cases may radiate to the legs, and a relief from pain when you tend to bend forward. Diagnosing facet joint pain may be done either through imaging like X-ray or MRI or by facet joint injection. Just when the pain has started, nonsurgical treatments may help like the application of heat and cold to alleviate the pain, intake of medication, change in daily activities, exercise, and sufficient rest. Medical attention is highly necessary if the pain is chronic or which has been troubling you for three months or more. In rare cases, none of the aforementioned methods have worked, and therefore may require surgical procedure like facet rhizotomy and posterior lumbar fusion. The elbows are comprised of muscles, tendons, ligaments, and joints. The elbow connects the forearm and the upper arm and is responsible for the movement concerning these two. It is the basically structure with three joints: humeroulnar joint, humeroradial joint, and the proximal radioulnar joint. The humeroulnar joint allows you straighten or bend the arms. The humeroradial joint, meanwhile, has a similar function as humeroulnar joint in straightening or bending the arms and aside from that, it is used in supination and pronation. The proximal radioulnar joint, on the other hand, allows you to rotate the lower arm. Like others, the ends of the bones near the elbow are covered by cartilage, which is relatively thinner than those found in the hip or knee. The elbow joint pain, like any joint pain, may be caused by arthritis or fracture around the elbow. The more common types of arthritis involving the elbow are osteoarthritis and rheumatoid arthritis. 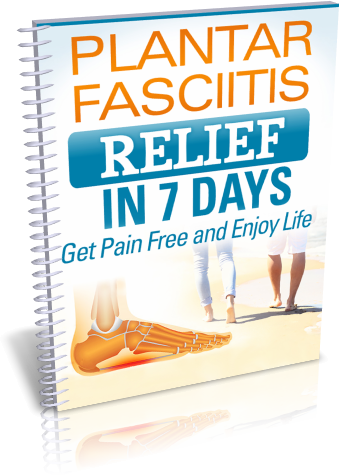 Apart from the pain, you may also experience stiffness or lack of range of motion by reason of the inflammation of the joint. Treatment for elbow joint pain ranges from simple medication to physical therapy, and even surgery. Going a little higher just above the neck rests another joint, that of the jaw. In medical terminology, it is called temporomandibular joint (TMJ). The TMJ is located in front of the ear on both sides of the head that connect the jaw bone to the skull near the temple. It allows the mouth to open and close and move backward, forward, and side to side. In general, the problems concerning the jaw joint are collectively known as the temporomandibular joint disorder (TMD). TMD is quite common and brings severe discomfort or pain, which may either be temporary or something that would last for a long period of time. The symptoms of TMJ include tenderness or pain around the jaw point that may radiate the cheeks, neck, and ear. Reduced movement and even locking of jaws may be experienced. 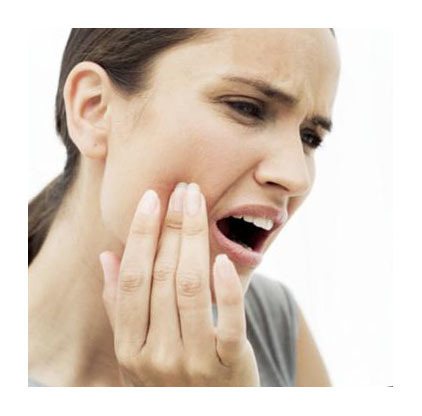 With jaw joint pain, you may find it difficult to chew your food or open your mouth. There may also be some popping or click sound as you try to move your jaw. Jaw joint, being one of the most complicated joints, it is definitely hard to determine what specifically makes your jaw painful. However, tests like MRI and blood tests may take place. TMJ is caused by either a problem in the joint itself that includes injury, wear, and tear, or arthritis like gout and rheumatoid arthritis, or a problem with the muscles that work along with the joint. Whatever the case may be, it is essential that you give your joint some rest by eating soft wood and avoiding excessive opening or movement of the mouth. Your doctor may even require splints or bite, guard especially when sleeping. Other treatments are medication, physiotherapy, injection, and surgery. The pain in the lower back that radiates to the legs is often associated with sciatic nerve pain. 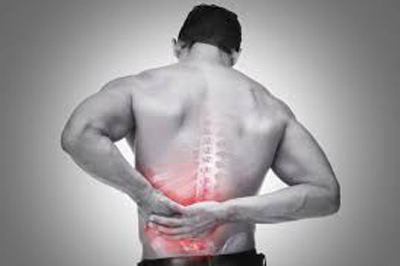 However, there might be another reason why lower back pain interferes and restricts your movements. Your sacroiliac joint might be in pain. The sacroiliac joint is the joint located next to the bottom of the spine where the sacrum and iliac bones join. It is primarily responsible for carrying the weight of your upper body as it transfers the said weight and force to the legs. SI joint serves as a shock absorber to prevent impact from getting to the spine. The SI joint pain comes either as a dull or sharp pain, as the case may be. While the pain starts around the SI joint, you may feel the same pain in your buttocks, groin, thighs, and upper back. SI joint pain symptoms may vary between people. This, however, includes a lower back pain that is often concentrated on one side as well as hip pain. Bending becomes a challenge and there is the pain as you stand up from prolonged sitting. 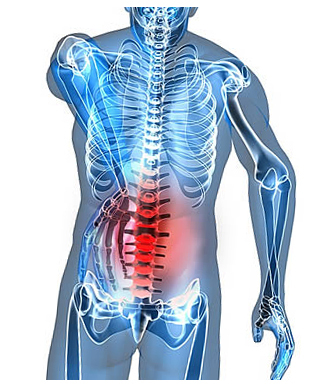 The sacroiliac joint pain is most discomforting or painful in the morning but tends to get better throughout the day. Studies continue to answer SI joint pain is caused. However, the same is attributed to several factors. One is the change in the range of motion of the SI joint whether there could be too much or too little movement. Muscle tightness and wearing away of the cartilage may also be the reason for your pain. The inflammation of the SI joint might be causing you the pain, which you may have developed from an injury or trauma. Other causes include pregnancy, arthritis, and the difference in the length of the legs. The most common and easiest way of relieving the pain is through oral treatments. Giving your body a rest while minimizing activity that involves the affected joint and application of heat and cold may work for you as SI joint pain relief methods. Rest, however, does not mean not to engage in exercises. Make sure to consult your doctor as to which type of exercise may help ease the discomfort. In chronic cases, injection is required. Humans are naturally mobile, much more when performing daily activities. Everyday, we move or do things involving the different joints of the body. From the neck down to the toes, the joints play a significant role to enable body movement. While the bones provide a strong foundation or structure, it is the joint that gives flexibility and makes movement possible. There are several joints in the body categorized according to its type with their own functions. Thus, joint pain all over the body should not come as a surprise. With the presence of possible accident that may cause injury or trauma as well as the wearing out of the cartilage that prevents bones from rubbing against each other, there is always the risk of joint pain. However, there are joint pain remedies to bring relief or cure to the discomfort or pain. The most common and immediate joint pain relief is over-the-counter or prescription medicines. These joint pain medications are usually in the form of a pain reliever that brings urgent relief for severe joint pain. Application of ice and heat to ease the inflamed joints is something that anyone can do. It should be noted that ice should not be applied directly to the skin. Getting your body some rest while not giving up on the proper form of exercise adds strength to your joints. Complete or absolute rest might only stiffen your joints. There are joint pain supplements, which are helpful for arthritis-related joint pain. Supplements are more of long-term treatment rather than immediate relief. Aside from this, essential oils for joint pain like rosemary, peppermint, and marjoram oil can be used if you like a more natural way of treating joint pain. Massage and physical therapy are also recommended, of course, with the doctor’s consent. Maintaining or intake of vitamins for joint pain may likewise help minimize the chance of suffering from sudden joint pain.